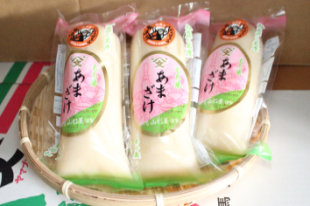 The concetrated Ama-zake is made only from the good-quality domestic glutinous rice and rice malts. 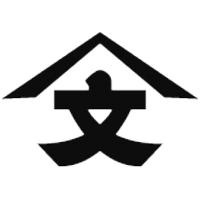 Since the establishment, Yamagataya has been operating the business for 150 years, receiving continuous warm support from our customers. 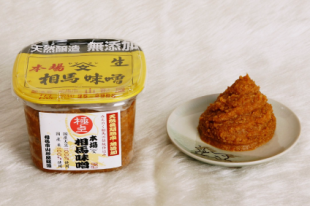 While inheriting the ancestral tradition, we’ve been producing the “genuine” Soma-miso and soy-sauce, persuing the best quality at all times. Keeping the faith in the “genuine” quality and that producing the best Soma-miso and soy-sauce, we hopefully push the image of Fukushima from “pitiful” to “admirable” that will, in the end, improve the value of the Fukushima brand. 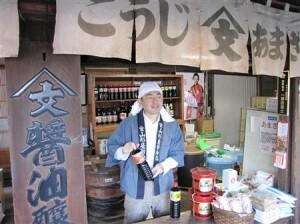 "The owner should always be at the forefront of making soy sauce" is the precept in Yamagataya. 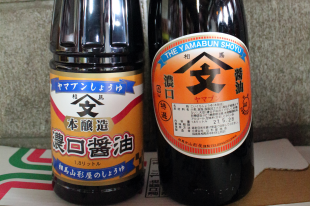 Kazuo Wanatabe, the fifth generation owner of Yamagataya has been trying to improve the taste and the quality of his soy sauce, leading production at the site, working earlier than anyone since his training period.